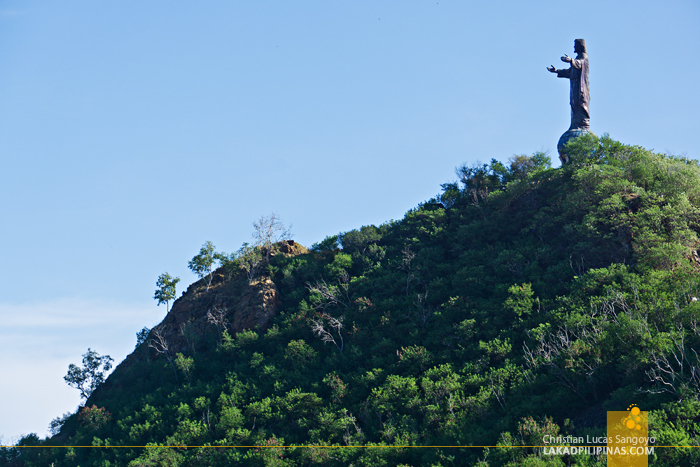 Our main predicament when we were in Dili was how to get to the iconic Cristo Rei statue. It was perched atop a low mountain on the eastern side of the city and was too far to get to on foot. 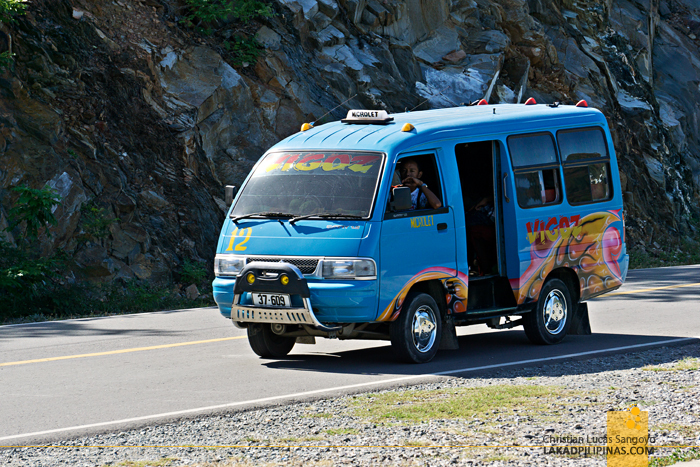 Well, we can certainly hire a taxi to get us there, but we deemed it to be a tad too expensive for our budget since we still have a long way to go for our two-month SEA2Africa2018 trip. Plus, we’d have to ask the cab to wait for us to go back, which would double the fare. We scanned the interweb and found that we can actually ride a microlet to get there, it would only cost us a quarter of a US dollar each but it really doesn’t go all the way to the starting point of the hike up, we’d still have a ways walk. And we read further that there aren’t any microlets going back. Darn. Our quandary was answered by the front desk of D’City Hotel [CHECK DISCOUNTED RATES] where we were lodged. She told us we can ride two microlets to commute to the Cristo Rei statue. First, by boarding a white number 11 microlet, getting off right before a small bridge where it turns from Dereitos Humanos Avenue to the Estr. De Bidau Road. 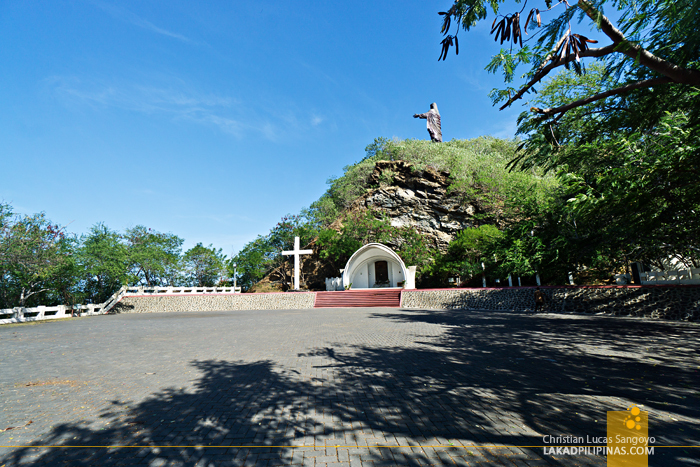 “Ask the driver to drop you off at Bidau,” she went further, “Just to be sure.” Then from there, get on another microlet, a blue one with a 12 sign, that would stop right at the foot of the hill where the Cristo Rei statue is. And there are available microlets throughout the day, so we shouldn’t worry on how we would be getting back. Perfect. 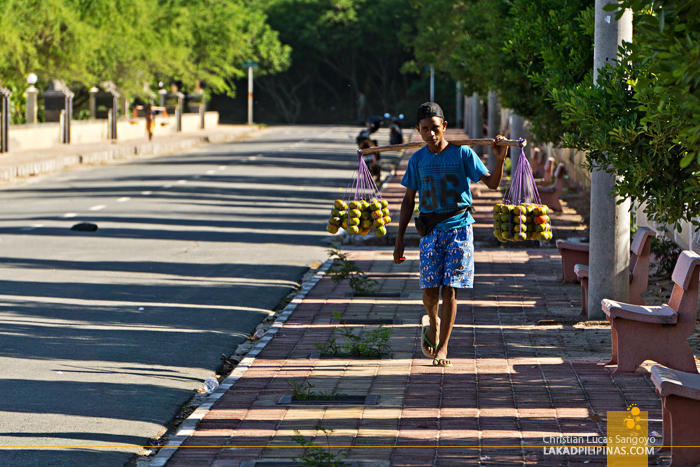 On our fourth day in Dili, after exhausting ourselves exploring Dili on foot, we did just that. 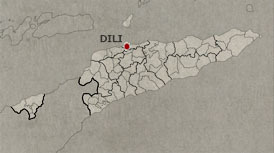 Since this is where the beaches of Dili are located, we donned our swimming attire under our normal clothes and packed our snorkels and underwater camera with us. We went right after breakfast and was speeding past Areia Branca Beach and were at the foot of the steps leading to Cristo Rei in under fifteen minutes. It was a breeze. 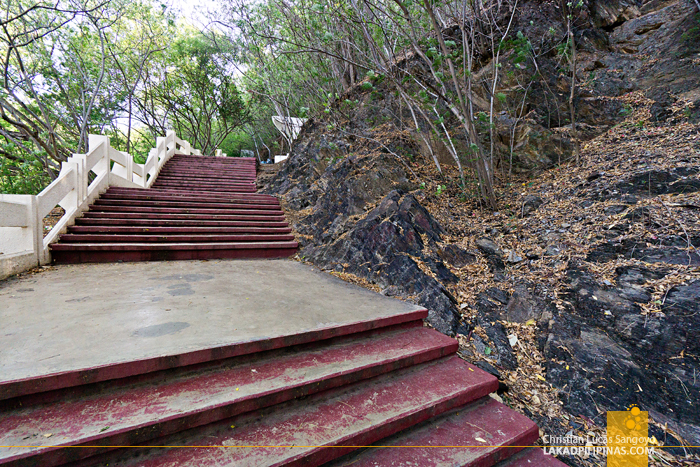 The Cristo Rei or Christ the King monument can be accessed via wide red concrete steps, five hundred seventy to be exact, from the base of a low mountain right on the fringes of Dili’s capital. Hiking it during the early mornings was easy, it wasn’t that hot yet. But doing it during noontime is a different matter altogether. Going up along with a few joggers, we passed by life-sized sculptures of the Stations of the Cross. We rested on a platform a third of the way up where a stage of sort is set right into the face of the mountain, I guess this is used for celebrating mass, before doing the final assault to the top. 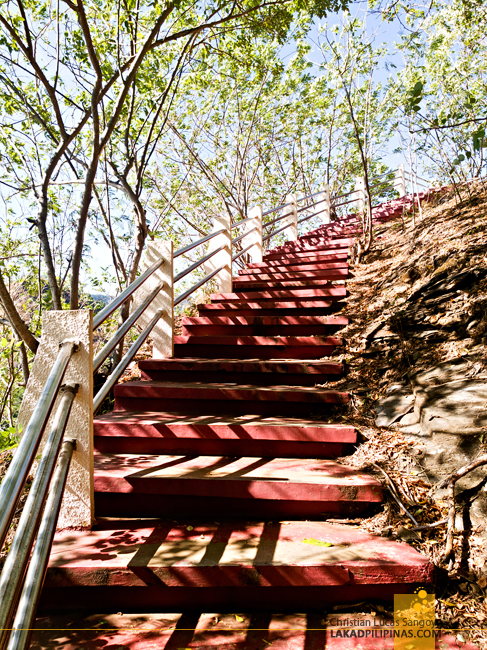 The stairway was narrower, hugging the sides of the mountain tighter, but it wasn’t as hard, even for non-hikers like us, and we were up in no time. 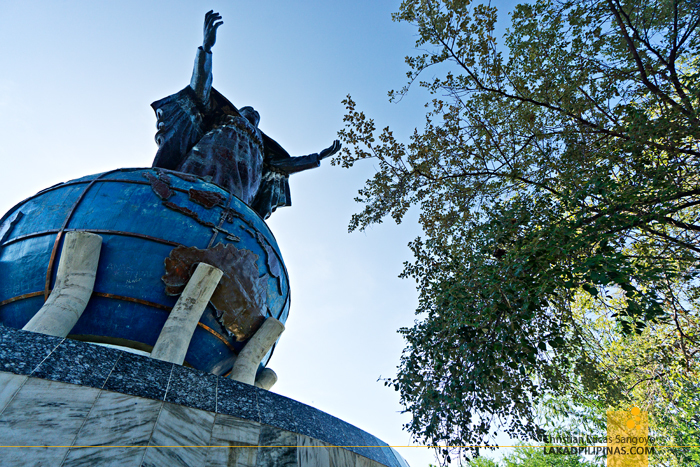 The twenty seven-meter high copper monument is actually a gift by former Indonesian president Suharto to the Timorese people to sort of quell their uprising during their violent occupation. It also marks the 20th anniversary of Indonesia’s annexation of East Timor—talk about rubbing it in. 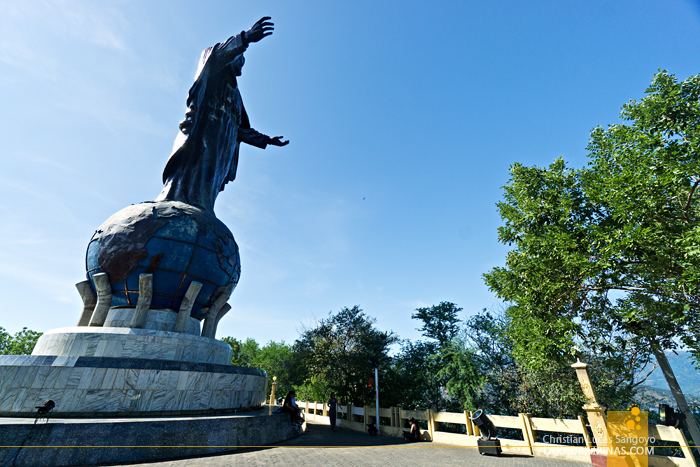 As expected, it didn’t really do much in terms of peace, but it remained right where it was even after Indonesia left East Timor alone and it has since became one of its most visited icons. It sort of mimics Brazil’s Cristo Redentor or Christ the Redeemer statue, only it’s short of three meters in height and stands on a significantly lower mountain. 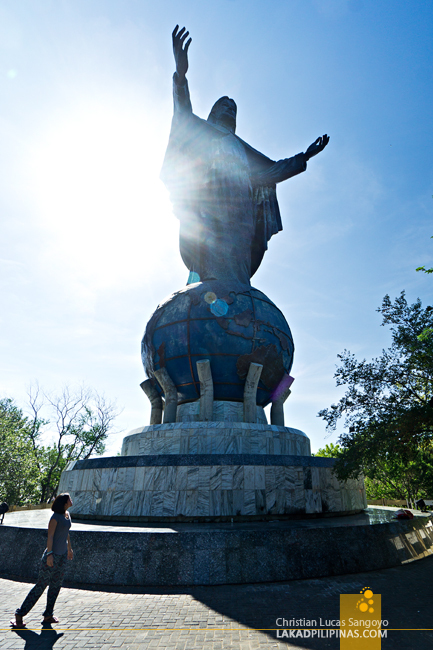 And while Brazil’s Cristo is more geometrically sculptural, the one in Dili presents a more realistic version of Christ standing on a globe. Personally, with a cost of five billion rupiah or roughly half a million US dollars, and a three-month construction period, the form could’ve been executed better, me thinks. To be honest, it’s a bit underwhelming if not for the view that the place affords for those who actually manages to reach the top. 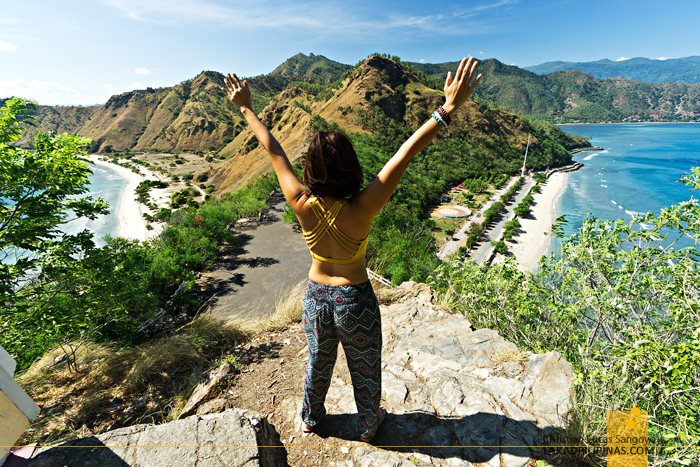 The shrine faces the aquamarine waters of Banda Sea on the tail-side of Cape Fatucama. On its right left sits the sandy shores of Cristo Rei Beach and on its left, the much longer Jesus Backside Beach. Now, that last one actually makes it worth the while to climb Cristo Rei since traversing this mountain is the only way to get to that beach. So, enough climbing, it’s beach time!